This kit was designed for Hunter Productions as a mobile audio/video system for covering Nascar events. 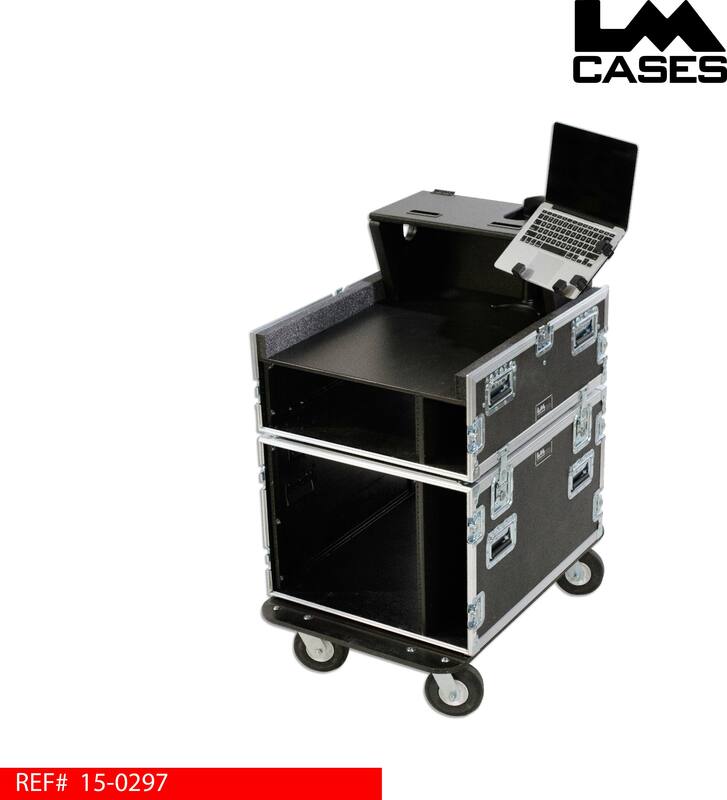 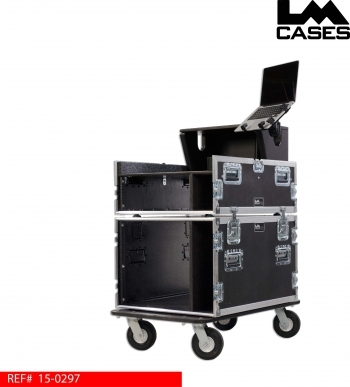 The top case holds a Midas F16 mixer and features a custom doghouse and articulating laptop arm. 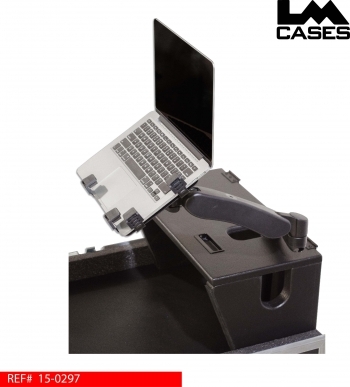 The laptop arm is mounted inside the doghouse and protrudes through the top lid. 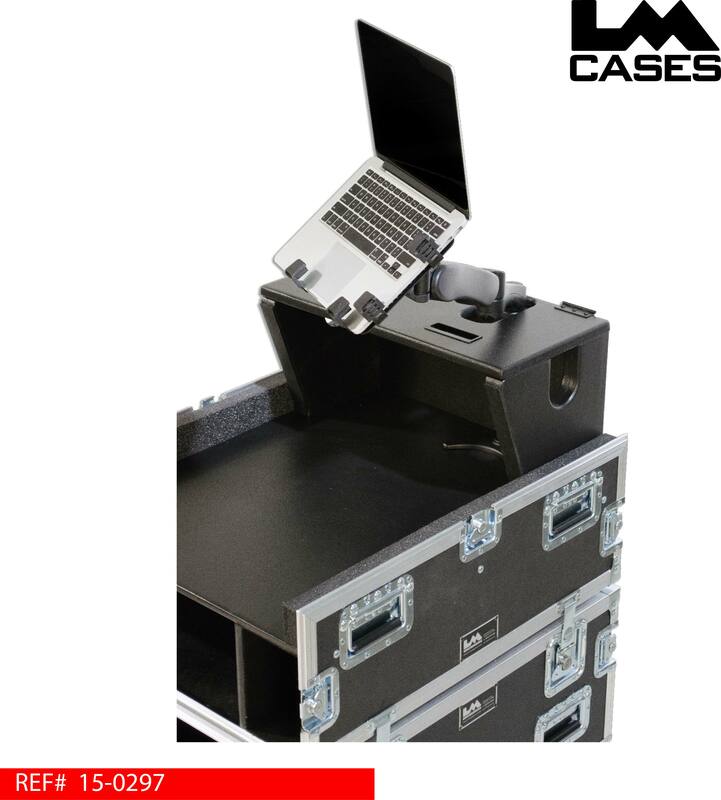 The doghouse lid can be opened independently of the laptop mount and both can be used simultaneously. 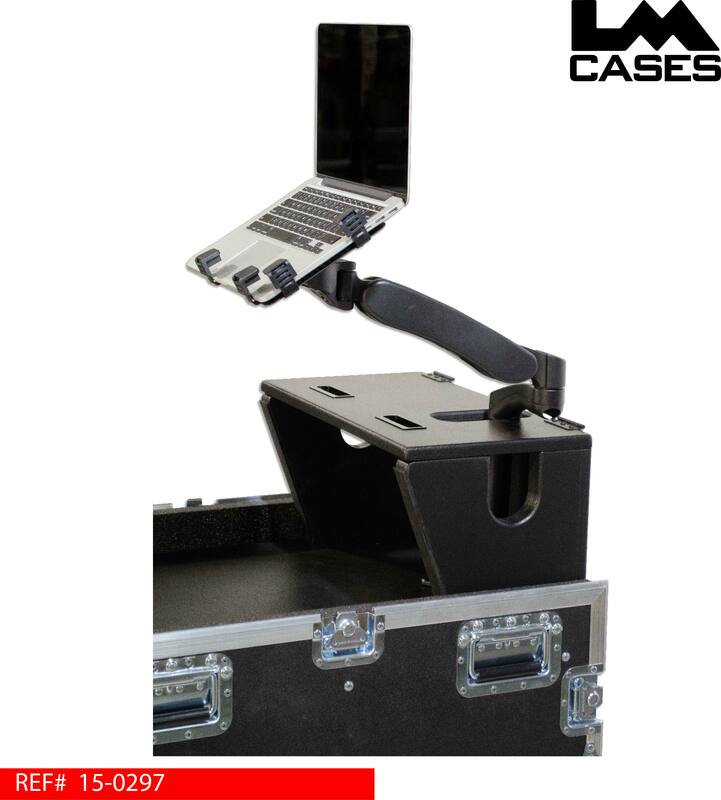 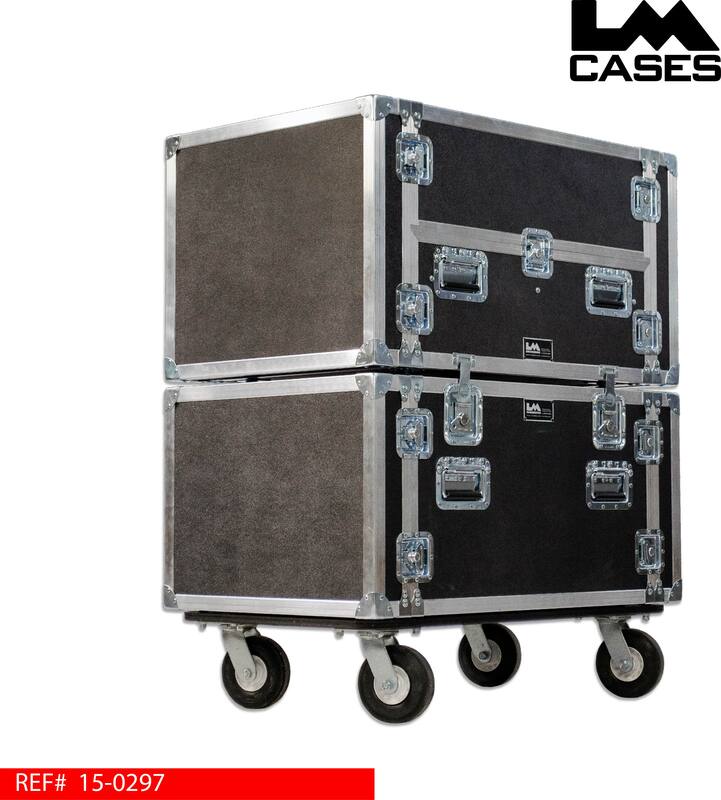 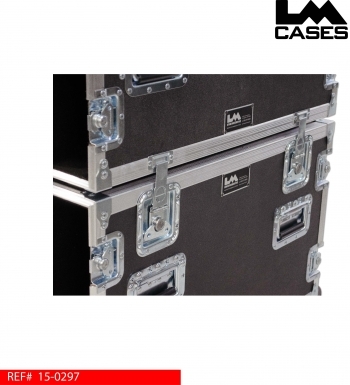 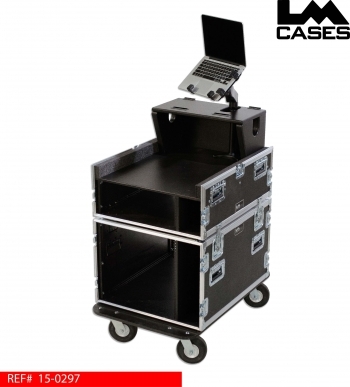 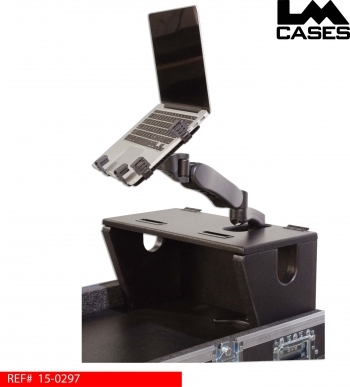 The Midas F16 case features a 4RU rack section and is latched onto the bottom rack. The bottom rack features 10RU for equipment and features 6" field casters. Both cases are built from 3/8" plywood laminated with black ABS plastic. 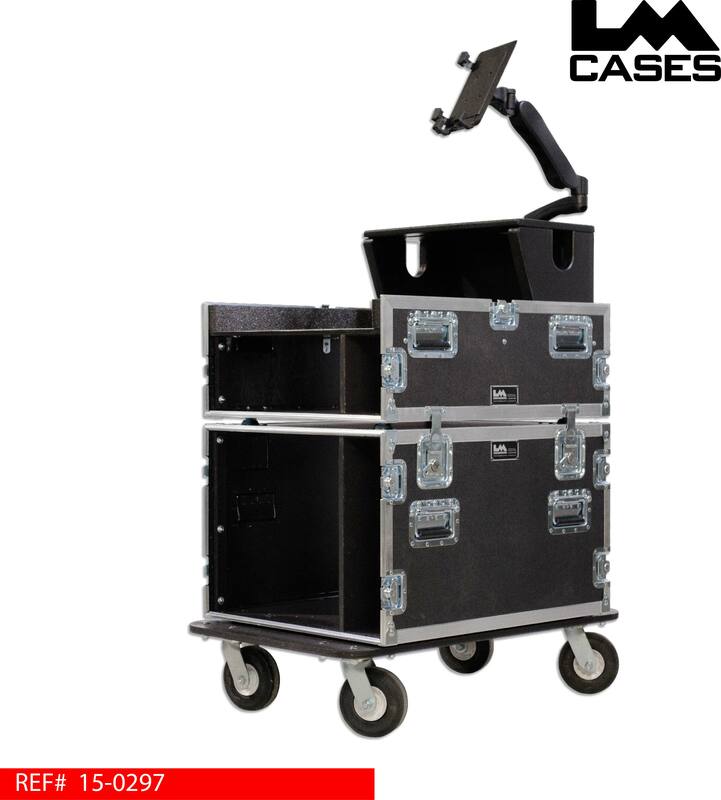 Special thanks to Hunter Productions!